Order today, and within a few minuts we’ll have designs emailed for you to review. 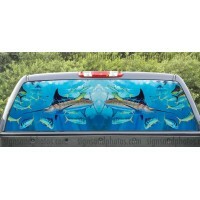 Custom lettering for your truck designed to your specifications. Let us know your idea (upload the picture of the sign), or leave it up to us. Either way, before your order is processed you will be emailed options to choose from. All orders are shipped with complete installation instructions (optional). If your still unsure, you can always call us 305-418-0955 or email: sales@signsandphotos.com- and we will walk you through the installation. 1. Truck Lettering withstands outdoor elements – won’t fade or peel. 2. 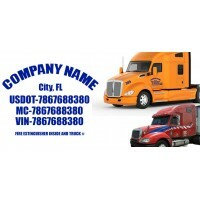 Truck Lettering can be used outdoors for 7 years or more. 3. Vinyl wording and designs are made from high performance Cast PVC film (Minimum of 7-year exterior life), computer dye cut and applied to your sign. Available in ANY printable colors. 4. Professional layout and design. 5. 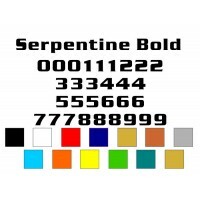 Wording available in many letter styles. 6. 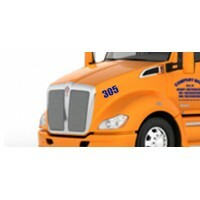 Logo duplication available at no extra charge when artwork is provided. Please specify when ordering. 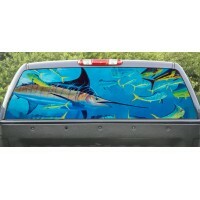 MADE IN USA!- You will receive one set of 30 precision cut vinyl decal with transfer paper.-&nb..
1. 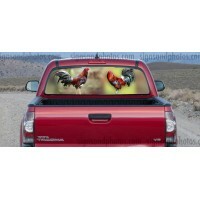 Truck Lettering withstands outdoor elements – won’t fade or peel.2. 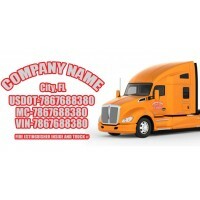 Truck Lettering can be used o..
3.5" Truck Number DecalsAvailable in other colors and Fonts! 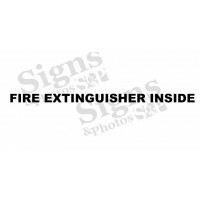 (All decals are made on the highes..
1"x18" fire extinguisher insideAvailable in other colors and Fonts! 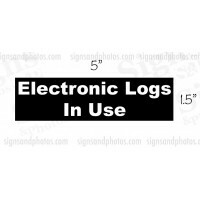 (All decals are made on the..
1.5"x5.5" Electronic Logs in UseAvailable in other colors and Fonts! (All decals are made on th..